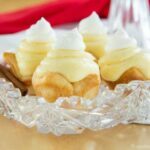 Mini Eggnog Cream Pies are a fun and festive easy Christmas dessert recipe perfect for the holiday season. 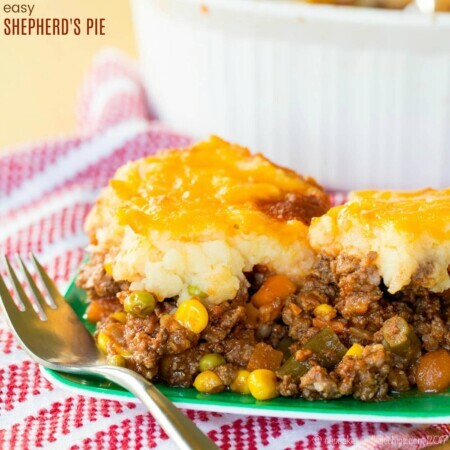 These types of simple recipes make a big family gathering easier, or are super fast to whip up for a last minute party invitation. You only need four ingredients to make these super simple and simply dreamy mini cream pies with one of everyone’s favorite Christmas flavors – eggnog! You know, I’ve gotten used to this wheat allergy thing. Sometimes it’s a bit of a pain, but I know what to look for and what to ask for when I go out, and at home it’s just second nature. As long as I go to the right places, I actually enjoy gluten free pizza. I’m not really into fried food, so I’m not lusting after fried chicken and onion rings. And avoiding the bread basket leaves me more room to enjoy my meal without feeling overstuffed. And if you know anything about me, you know I’ll take ice cream over any other dessert any day of the year. A couple things I miss – sourdough bread, golden fudge cake from my favorite restaurant (which I have re-created as this amazing Gluten Free Birthday Cake), classic New York-style crumb cake, cinnamon raisin bagels. Call it a guilty pleasure, call it childhood nostalgia, but whatever you call it, just call me if Pillsbury ever makes a gluten free version. Maybe it’s from my mom making hot dogs wrapped in crescents when I was a kid, or maybe it’s just because they are so buttery and flaky and delicious, but you guys, what I wouldn’t give to eat some Crescent Rolls again. And this isn’t sponsored. It’s just what I have been thinking since I make this Nutella Cheese Danish Ring for a sponsored post and have been having fun playing with the awesomely delicious dough in a can. Plus I had leftover eggnog from this Gluten Free Eggnog Coffee Cake. Now if you read my blog, you know I tend to do a lot from scratch, or with minimal mixes and other packages ingredients. But sometimes, when life is crazy, you need to whip up a sweet treat fast. That’s what makes these eggnog cream pies so perfect for the holiday season. And your guests will be totally impressed! 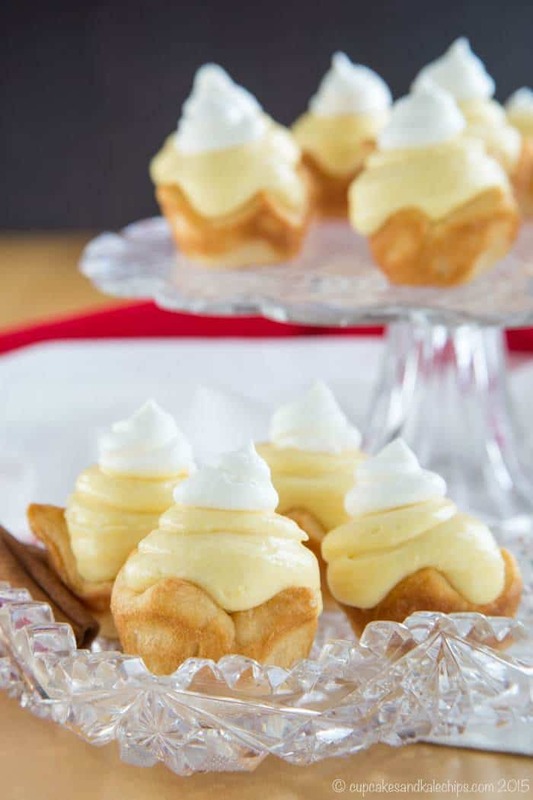 What do you need to make Mini Eggnog Cream Pies? Cool Whip – while I don’t like to use Cool Whip a lot, I will use it occasionally. If you don’t like to use it, you can try this Homemade Cool Whip from Real Housemoms. 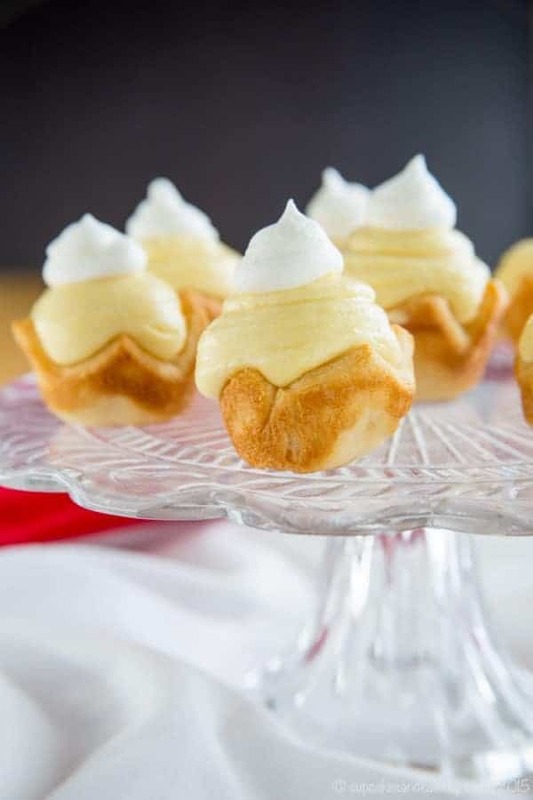 How do you make these mini desserts? 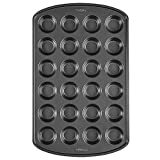 First, preheat the oven to 375°F and coat your mini muffin tin with cooking spray. Then roll out your crescent dough into a single sheet and cut it into 24 little squares which you will then press into the muffin tin. Bake the crusts and cool completely. 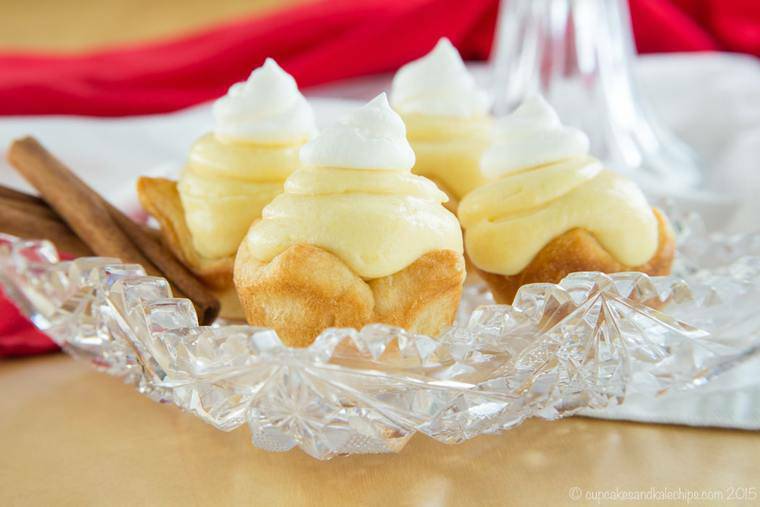 While they are baking a cooling, whisk together the pudding mix and eggnog and fold in some of the Cool Whip to make what is almost like an eggnog mousse. Spoon or pipe the filling into the crusts, then use the remaining Cool Whip to top with a little dollop. 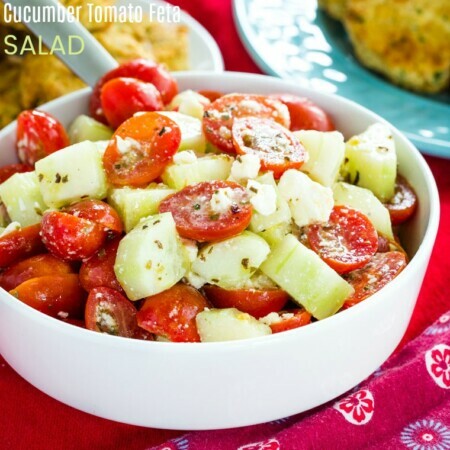 Serve immediately or store in the refrigerator. The crusts will slightly soften in the fridge, but they are still delicious. However, I’d recommend not keeping these around more than a day or two. 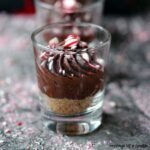 What are some more mini desserts for Christmas? And for even more, you’ll love these 23 Mini Desserts that Are Perfect for Parties! MINI MUFFIN TIN – of course you need a mini muffin tin to make these little pies. And you know what? They come in handy for so many things besides this recipe. I use mine all the time, whether I’m making Healthy Carrot Zucchini Mini Muffins or and of my favorite Cauli Tots recipes. 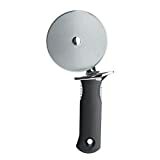 PIZZA CUTTER – it is so much easier to cut your crescent dough with a pizza cutter than with a knife. You can certainly use a knife, but rolling right through the dough with a pizza cutter makes this fast recipe even faster. I recommend pretty much and product from OXO. They never disappoint. 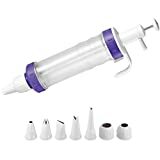 DESSERT DECORATOR – I love having a dessert decorator to not only make it easier to fill or decorate treats, but to make them extra pretty too. Use a large round tip to fill the pies and a smaller one or a star tip to add the little dollop of Cool Whip on top. These easy Christmas desserts are light and fluffy, creamy and dreamy, and a total crowd-pleaser! 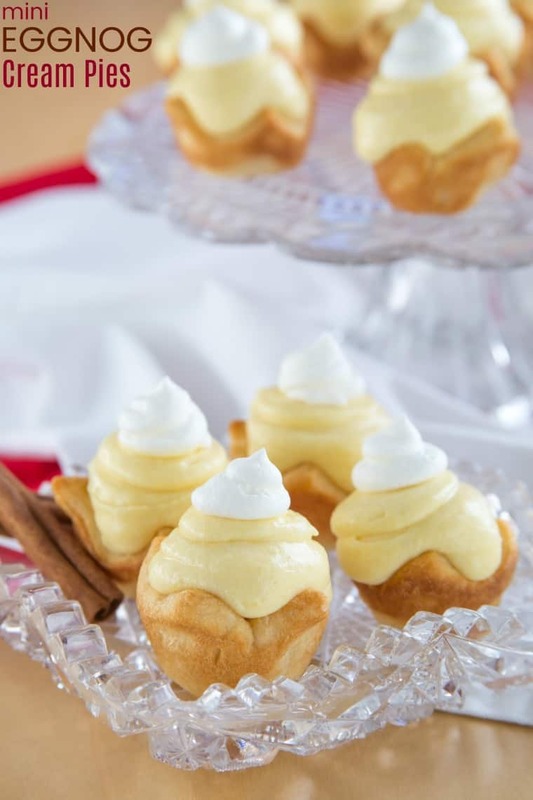 Mini desserts are always perfect for a party, and these are filled with that creamy nutmeg flavor that everyone loves around the holidays. 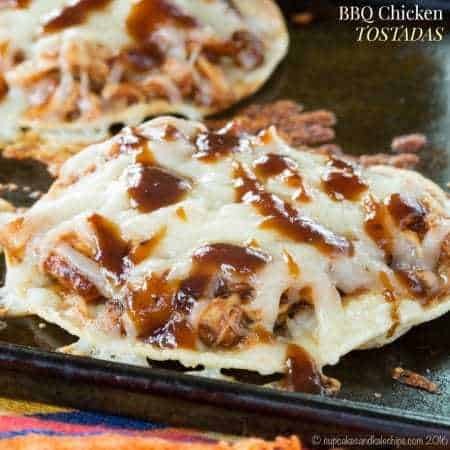 Friends and family will be asking for the recipe, and they will be in shock when they find out there are only four ingredients. 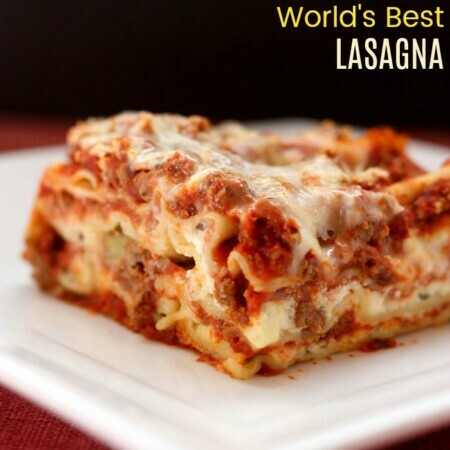 It might not be from-scratch baking, but seriously yummy and easy for this busy time of year. Unroll dough and press into 12x9-inch rectangle, sealing the perforated edges is using crescent rolls. Using a pizza cutter or sharp knife, cut into 6 rows by 4 rows to make 24 squares. Gently ease the squares into 24 ungreased mini muffin cups and press down slightly in the middle. Bake 6 to 8 minutes or until edges are golden brown. Cool completely in pans, about 10 minutes. Remove from pans. In a medium bowl, beat the eggnog and pudding mix with a whisk until it begins to thicken. Gently fold in 1 cup Cool Whip. 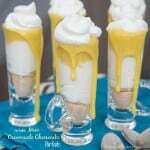 Fill each cooled cup with about 1-2 tablespoons pudding mixture. Put 1/2 cup Cool Whip into a plastic sandwich bag and seal. Cut the tip from one corner and pipe onto the top of the mini pies. Do you think I could replace the CoolWhip with unsweetened homemade whip cream? Thanks! You can definitely do that, Laura! These little pies look delicious! Thanks for linking up with What’s Cookin’ Wednesday! What a delicious holiday idea- they also look so pretty! What a cute and quick treat! With my gluten & dairy problems, there’s no way I could eat these, but I’ll need to try these for a holiday party!